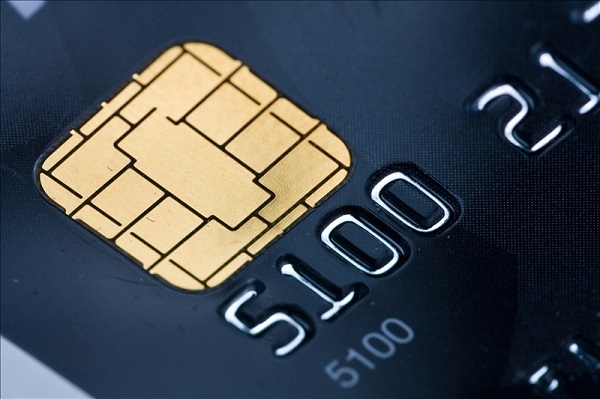 Transitioning to accept EMV chip cards has been a nightmare for businesses, small and large. And the result of this confusion has been loss of millions of dollars and growing, in fraudulent chargebacks! 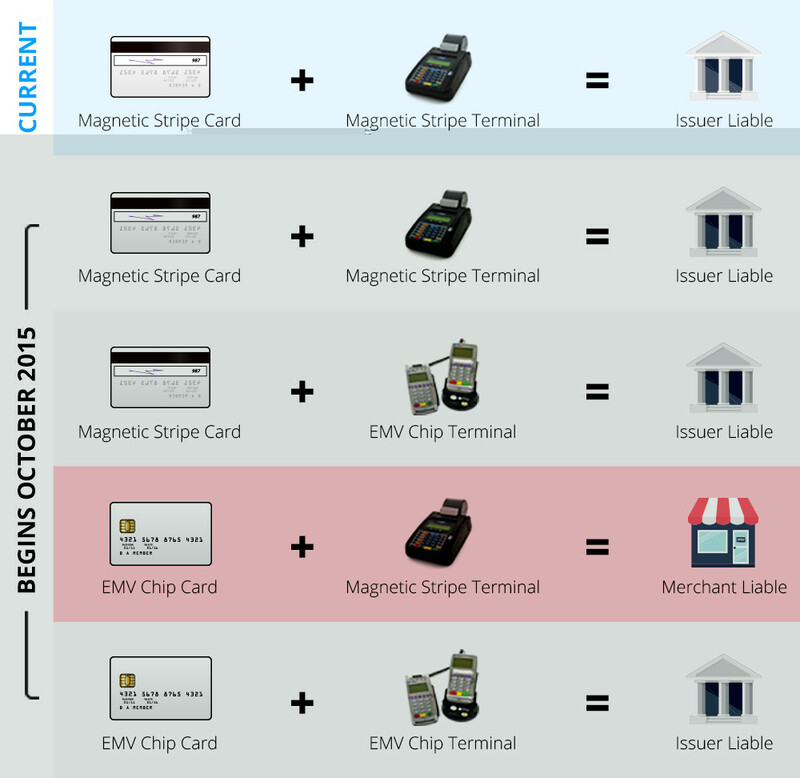 So here is a must-read EMV transition guide that will walk you through everything you need to know step-by-step. EMV stands for Euronet, masterCard and visa. It is a security standard adopted by the payment industry to reign in on billions of dollars of credit card frauds committed every year in US alone. This security standard has been adopted in most parts of the world, but is still fairly new to the United States. It just had it’s first year anniversary. 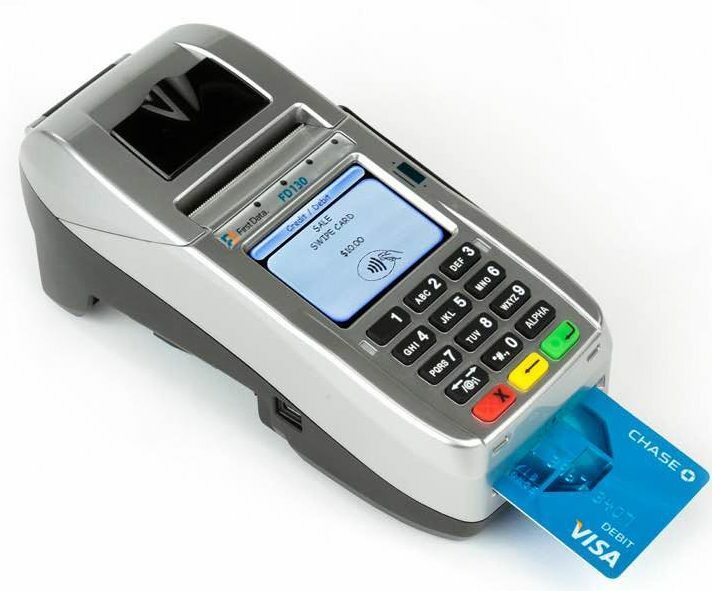 EMV is also popularly referred to as ‘chip card’ as well. Why should I upgrade my equipment? For starters, EMV Compliance is NOT a law as many people assume. You are not doing anything illegal if you still using the old “Swipe and Sign” process on your terminal or integrated POS. However, it is important to know that you will be held liable for any fraudulent transactions that happen at your location because you did not upgrade to an EMV compliant equipment. Previously when you fell victim to a chargeback, the issuing bank investigated and based on the proof submitted, covered you for the disputed amount. But starting October 1, 2015 the responsibility has been shifted to the merchant or the one with the weakest link in the payment process. Chargebacks have been on rise exponentially, in thousands of dollars every month, especially at Lounges/Bars, High-End Restaurants, Liquor stores and Gas stations. A discovery channel video below shows how easy it is for credit card fraudsters to make fake credit cards and use at your locations. How to upgrade and how much it cost? The first step to upgrade to EMV is to understand your needs. Do you need to be able to accept EMV chip cards only or you need to adjust tips as well on those EMV transaction. Or you want your customers to enter their debit card PIN on those EMV transactions? There are various different features that you need to be aware of and then decide the terminal model. Especially if you are a business that takes tips. Not ALL terminals support tip adjustment at the end of the day. It depends on the type of terminal and the processor that supports it. There are 2 components that make up your EMV compliance. Software Certification – Software needs to be certified by the processor for that particular hardware to accept EMV. Every processor supports different terminal/hardware for EMV and Tip Adjust. So for example, if Ingenico ict220 is supported by First Data for EMV + Tip Adjust, does not mean all other processors will support the same hardware for EMV + Tip adjust. The terminals below are certified by First Data to accept chip cards. 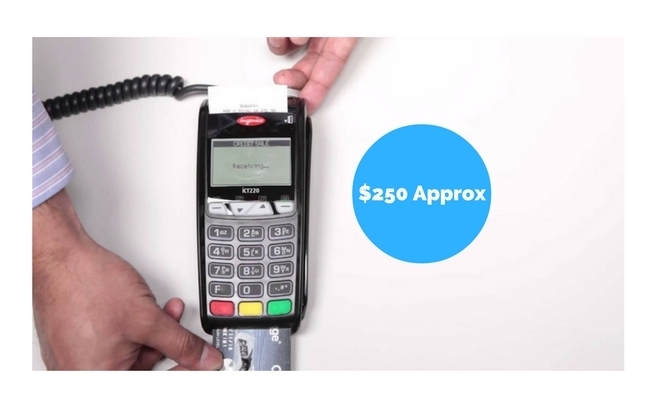 Verifone Vx520 – Accepts chip cards, Accepts Tip adjust after the sale. Recommended for restaurants or businesses that accept tips. 2. Ingenico ict220 – Accepts EMV chip cards + Tip adjust. Recommended for businesses that need to accept tips. 3. Clover Mini – Accepts EMV chip cards with Debit PIN + Tip adjust, Apple Pay and Android Pay and can connect using Wi-Fi. Customer can sign using their finger on screen and opt for text, email or paper receipt. 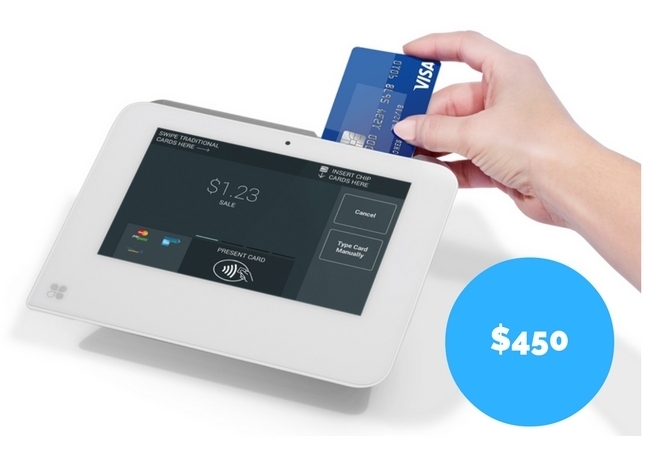 Clover Mini can also be connected to cash drawer and replace your old cash register. Retailers can also download Register software and turn this into a full fledged POS SYSTEM. Recommended for any businesses that need to accept debit cards with PIN, better receipt management or POS functionality. FD 130 – Accepts EMV chip cards + Tip adjust, Apple Pay, Android Pay and can be connected using Wi-Fi. Once you figure out what features you need and what terminal you want to buy, it’s time to go shopping. BUT, let me warn you – Don’t just buy from the cheapest place you can find. You might buy something that’s totally worthless for you. Not all equipment will work with your processor. Usually, the terminals are locked to a specific processor just like how your cell phone is locked to works with a certain wireless provider. Don’t just buy from the cheapest place you can find. You might buy something that’s totally worthless for you. Not all equipment will work with your processor. Usually, the terminals are locked to a specific processor just like how your cell phone is locked to works with a certain wireless provider. Usually, the terminals are locked to a specific processor just like how your cell phone is locked to work with ONLY certain wireless provider. If you already have a service provider you can call them and ask for their pricing but make sure they are not locking you in multi-year processing contract, a lease or any monthly rental fee. It’s ALWAYS best to buy your own equipment. Not only will you get the best deal on your processing but you have the flexibility to move your processing to someone else and use the same terminal. The saying ” There is NO free lunch” cannot be more true in credit card processing industry. Buy your own terminal online and stay with your current company if you are happy with their processing rates. 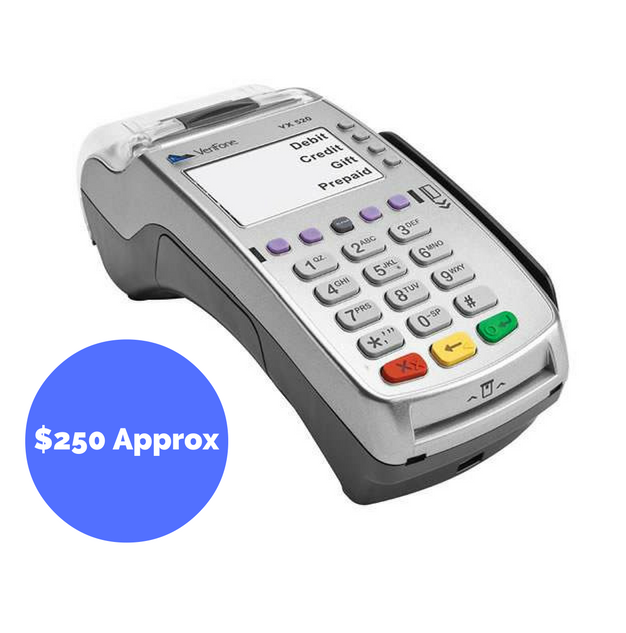 But before you place an order, ask your processor if they support Verifone Vx520 or any other terminal you wish to order and will provide all the features you need. Never buy a used terminal as they may be locked to work with certain processor only. Avoid buying from Ebay, Craigslist, or Amazon or any other reseller sites. Many companies will sell you very cheap just so they can get you into processing agreement with them. Just make sure you do your homework. Look for a new company that will provide a terminal at a fair price or subsidized price for the equipment. While hardware equipment is one component of your merchant account, processing rates are something that must NOT be ignored. Always make sure you are getting a fair deal without any contracts. To understand a little more about the same, definitely read through our post on how to get best deal on your merchant processing. Or better, subscribe to our FREE Savings course and learn how to save ridiculous amount of money on credit card processing by clicking HERE. We hope this guide was simple to understand and will help you in implementing the EMV migration successfully. We here at Onesto Payments believe in absolute transparency and love to educate our customers. Feel free to contact us to get our equipment and credit card processing rates. You will be glad you did. !